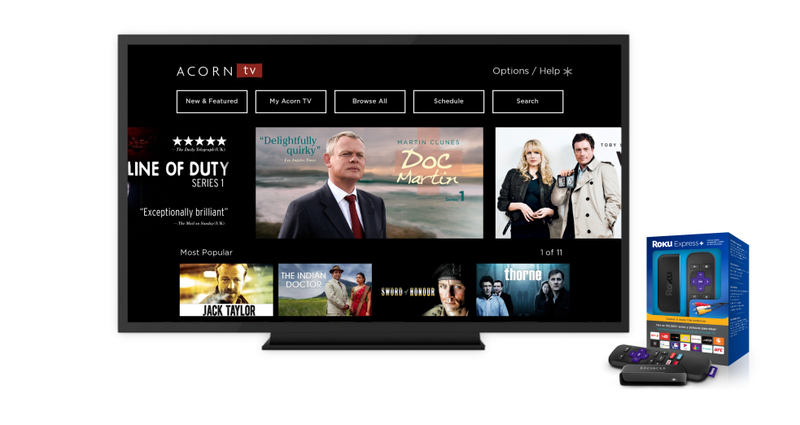 Acorn TV, the North American streamer hosting British and international TV, will now become available in twelve Latin American countries through Roku streaming devices. The Latin America launch includes Argentina, Chile, Colombia, Costa Rica, Ecuador, El Salvador, Guatemala, Honduras, Mexico, Nicaragua, Panama and Peru. Viewers will be able to subscribe to Acorn via their Roku streaming player as well as Acorn TV. It will be available for US$4.99 a month. The programs will be in English-language with Spanish subtitles available. At launch, Acorn TV in Latin America will feature the first season of British dramedy Doc Martin; Irish detective drama Jack Taylor, Series 1-3 starring Iain Glen (Game of Thrones); Line of Duty, Series 1-2; the complete series of the original Poldark and British historical drama The Great Train Robbery among others. Matthew Graham, SVP and GM for RLJ Entertainment’s Acorn TV, said: “Acorn TV has built a fast-growing subscriber base of passionate and loyal British and international TV fans in the U.S. and Canada, and we are excited to bring our unique offering of premium entertainment to other countries.